Emotions can be challenging to understand. It is not uncommon for people to feel different emotions at the same time and not understand why. When people don’t understand what is fueling their emotions or how they are connected they cannot understand what is needed to appropriately manage and take control of their emotions. In understanding the deeper feelings that are causing their secondary emotion, a client is able to learn how to be in touch with their own needs and feelings. They learn healthier behavior for managing emotions, and learn how to control their emotions so they are not deeply affected by its effects. 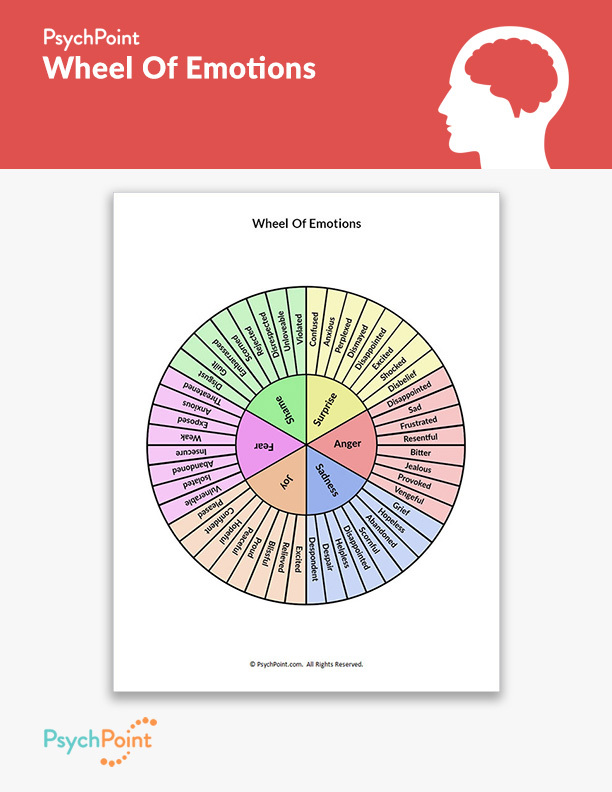 On this worksheet, there are a total of 54 common emotions people feel. They are broken down into 6 primary emotions and 48 secondary emotions. Instruct your client to identify the secondary emotion they are struggling with or experiencing. Then, have the client identify how the corresponding primary emotion can be contributing to the feeling of the secondary emotion. Explain the significance of both the primary and secondary emotion. 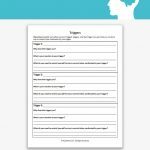 Help the client develop a plan of how to manage the emotions and the behaviors that are triggered by the emotions.